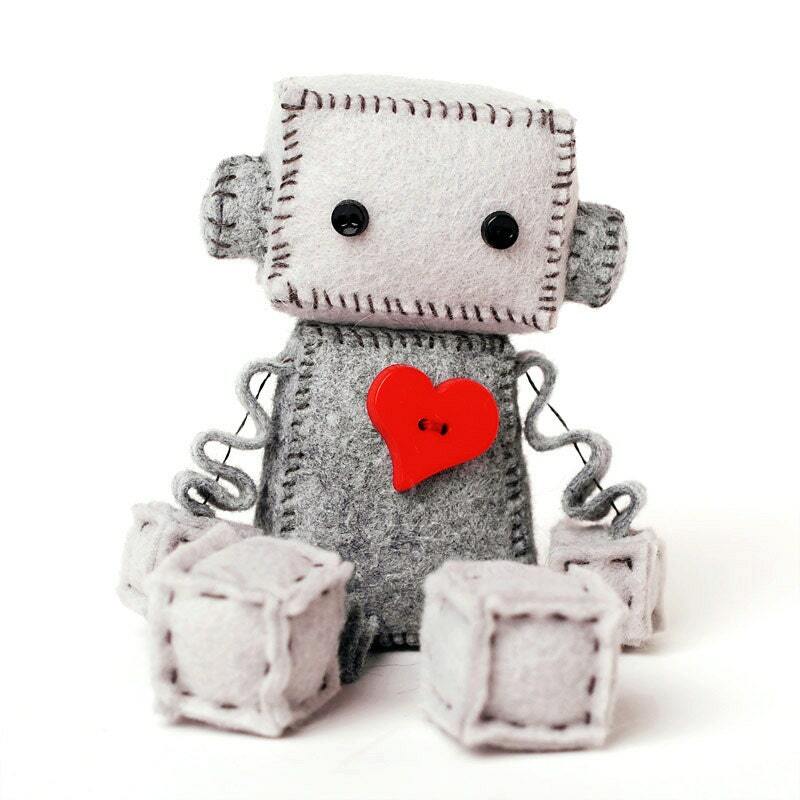 This plush robot has a big red heart and lots of love to give. He would make a darling geeky gift to someone you love. He has a dangly arms and legs and ear knobs. Robot plush is about 4 inches tall sitting. It is made of premium wool felt, cotton embroidery floss, little plastic buttons for eyes and a big red button heart. Adorable little robot! Susie is very responsive, open to customizations. The end product turned out just PERFECT! Thank you! Absolutely ADORABLE!! Thank you so much!! !